Delivery time for orders is typically one/two weeks. MADE IN BRITAIN BY TOP QUALITY BIKE EXPERTS, THE ELEPHANT BIKE IS A ROBUST STEEL STEP THROUGH FRAME IN A CHOICE OF TWO SIZES. WITH EASY TO USE 3 SPEED HUB GEARS AND GREAT LOAD CARRYING CAPACITY, THIS IS THE BIKE YOU NEED FOR TOWN SHOPPING AND COMMUTING. This bike has been kept in tip-top condition throughout its life as the postal service has a rigorous maintenance schedule. But to ensure that it’s ready to ride, from the moment you open the box (some self-assembly required); it has been fully refurbished just for you. It will still show signs of previous use, but it will give you the same years of reliable service as it gave to our posties. Each bike has been stripped down to its bare essentials; it is then shot-blasted and re-coated in your colour choice. Your bike is carefully re-built, using quality new parts where necessary. Finally it is professionally cleaned and ride-tested prior to dispatch. We cannot eliminate every sign of its age or previous use, but your bike will be checked to make sure there is no remaining rust or obvious flaws. We’ll also check that parts that are supposed to move, move smoothly and bits that are not supposed to move – don’t! Tyre tread- at least 50% of original tread remaining, no splits, cracks or other damage. Brakes- tested for stopping power in wet and dry conditions. Frame – durable steel 22 or 18 inch step-through design frame. Gears – 3 speed, trigger shifter, low maintenance hub gears. Heavy duty steel cranks. Saddle – Designed, padded and sprung for comfort. Wheels and Tyres – 26″ rear and 24″ front alloy rims with 13 gauge spokes with 1¾” tyres. Load Carrying – 20kg on rear carrier. Additional 20kg if you select the optional front carrier. The smaller frame is recommended for riders with a 27-35 inch inseam (inside-leg), and the larger frame for riders with a 31-40 inch inseam. Riders sized 31-35 inches can adjust either frame to fit. Mainland UK delivery for just £30 – shipping cost may differ depending on Postcode. Your order is complete when we receive payment in full, we will then email your registered account email address to confirm your order and to provide an estimated delivery date. Delivery times can vary between 2-4 weeks. If you require delivery for a certain date please contact us BEFORE placing any order so we can confirm your delivery date. Your Elephant Bike will be carefully wrapped and packaged and delivered to your door by a reputable carrier to UK mainland addresses, please contact us prior to ordering if you require delivery to a postcode where normal delivery exclusions apply. We will provide you with tracking information and you will be required to sign for your delivery. Customer collection from our Longton warehouse is also welcome during standard office hours, please contact us prior to ordering if you wish to collect. Order Arrived Damaged or Incomplete? Please telephone or email us within 30 working days of delivery and we will arrange to send missing parts, cover the cost of repair at your local inde bike shop, or to arrange a collection and refund or replacement at no cost to you. Changed your mind? 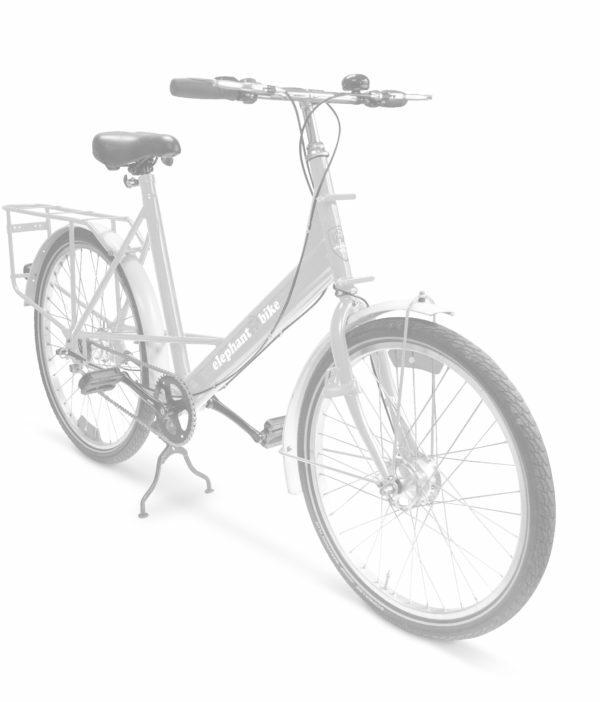 We know that these things happen, however, if you have simply decide you no longer wish to have an Elephant Bike you will need to return it to us at the address above within 14 days of delivery to you. You will be responsible for the return shipping costs.